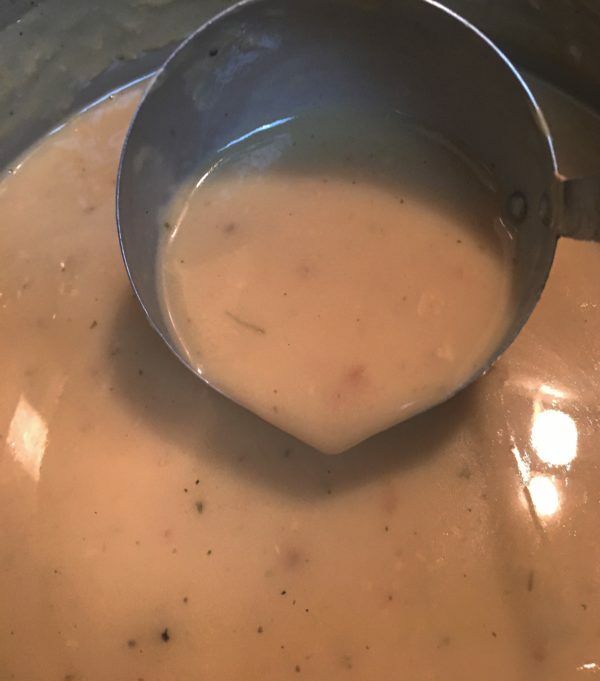 This recipe is how my mom made her gravy for years and years. 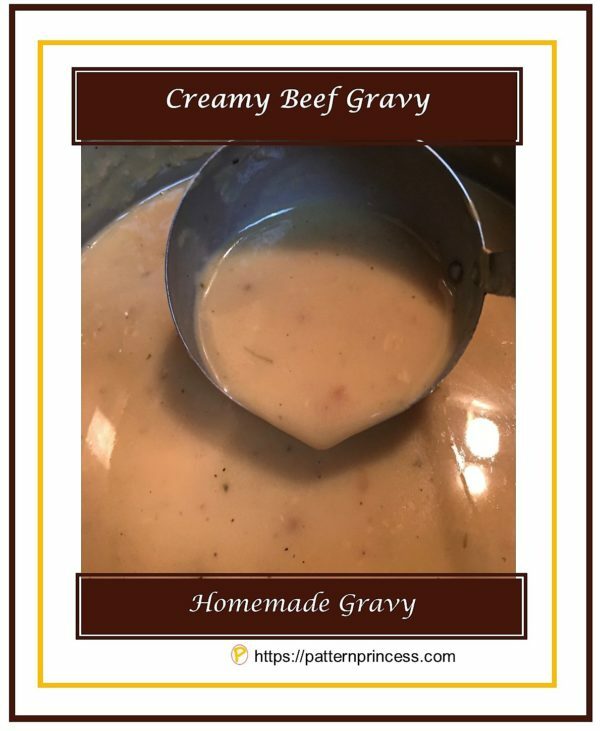 Simple no-fuss method of a great tasting creamy beef gravy. Normally, I start my gravy with a Roux. This assures that you will have no lumps in your gravy. However, my mom never made a Roux for her gravy. She only used flour and water to thicken her gravy. The trick is in when and how the flour and water mixture is added. Mixing the flour and water was the job of us kids when we helped her cook in the kitchen. Combining the flour with cold water and stirring with a fork until all the flour is dissolved and no lumps remain helps ensure that there are no lumps later when thickening the gravy mixture. My mom did not freeze the pan drippings like I do if there were extra. 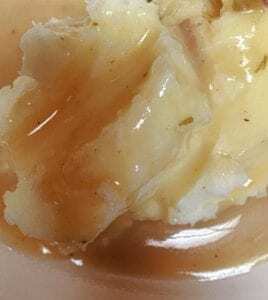 She only made the gravy if there were mashed potatoes and enough pan drippings to make gravy. I use fresh if I have them, if not, I have used canned or drippings that I have previously frozen. These frozen drippings are great for flavoring soups too. Helps make them taste like you have been cooking all day. At our house, we use gravy often. Sometimes, we just layer the beef on bread and cover it with gravy for a simple and tasty treat. Combine the flour and 2 Tbl. of water in a glass and stir with a fork until there are no lumps. Or you can use a shaker cup with a lid and sake this mixture until combined with no lumps. In a saucepan, combine the beef juice and water. Bring to a boil. Slowly pour in the flour and water mixture whisking the entire time until combined. Cook a minute or two until thickening (stirring constantly). Remove from heat and add the half and half. Salt and Pepper to taste. 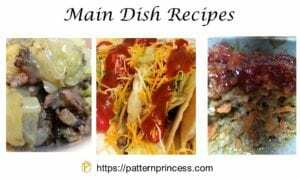 Here are other recipes you may enjoy making.